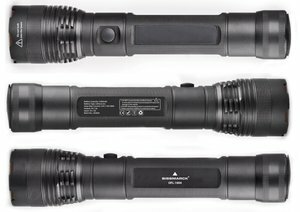 6 in 1 multi-functional light, CREE U4 LED at 1000 lumen. 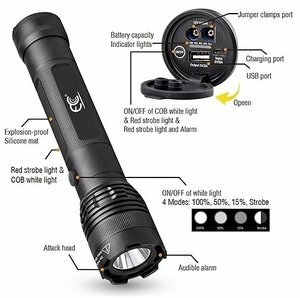 - 1000 lumen CREE XML2-U4 LED flashlight. - Size: Φ 60 X 279 mm. - Distance: Up to 500 m.
- Modes: 100%, 50%, 15% and strobe. - Integrated 5100 mAh rechargeable battery. Car plug and USB charging cable included. 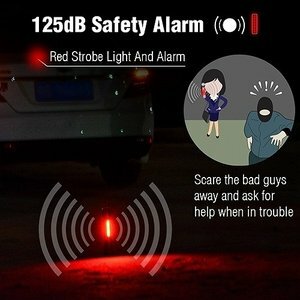 - Strong red flash side light to display distress/roadside emergencies. 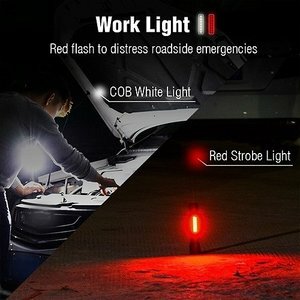 - Strong side mounted white working light. - Car window smahing capacity. - Integrated battery charging level display. - Battery Standby Time : Up to 6 Months. - Output: 5V/ 2A ; 12V Jump Start. 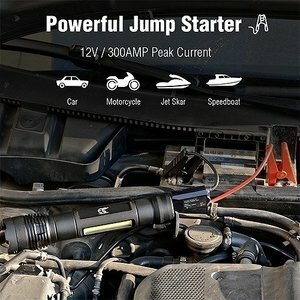 - 40 times lighter than traditional jump-starter. 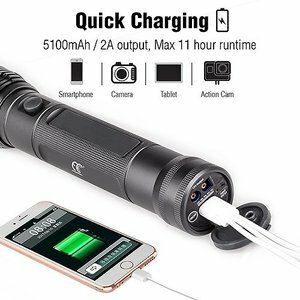 - Only takes 1-hour for a smart phone to be fully charged. - Dual Reversing Polarity Protection. - Over Voltage-Over Discharge-ShortCircuit-Over Current Protection. 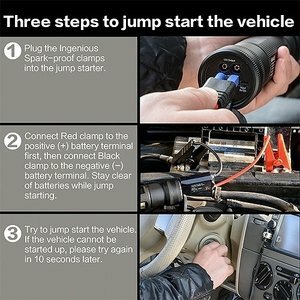 - Jump start a car battery, 10 attempts from full load. Battery clamps included. 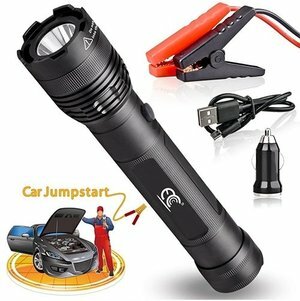 Jump Start Current: 12V / 150 at 300A. - Recommended Vehicle Engine Displacements for Jump Starting. Up to 6 cylinder Petrol vehicles – 3.5 displacement (3500cc or below). Up to 4 cylinder Diesel vehicles - 2.0 displacement (2000cc or below).